It's Grymn Out There. : Fi-Fi-Fo-Fum! 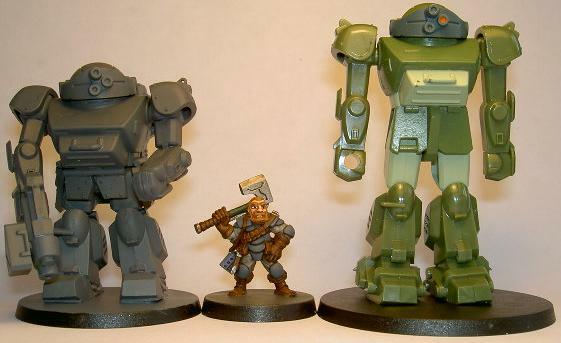 Yes, today I am going to talk about the models and miniatures available for robotic walkers in your Grymn armies. 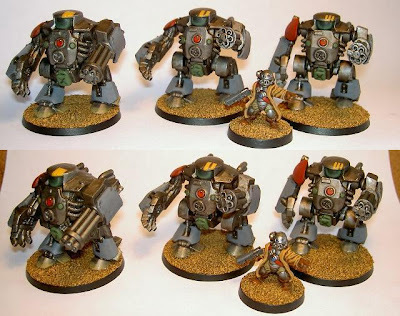 This is not going to be a big debate as to whether they are practical or not...I like the idea of big robots on the battlefield and as a result I feel the need to share a few ideas on the subject. 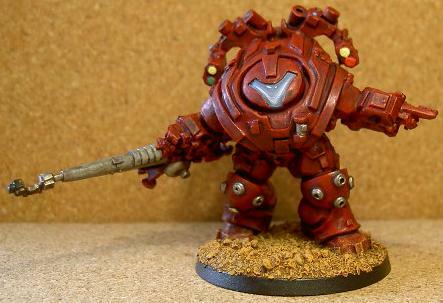 The miniature is designed to be used as a powered suit for miniatures that would be about 32mm tall so the thought of a Grymn filling the suit in the way it was designed is a bit daft. I would suggest that the Grymn pilot would be sat in a seat in the torso of the suit and would drive it rather than walk around in it. There is plenty of room in the torso for this so it isn't infeasible. In order to make the toy look more Grymn-like, I have shortened the one on the left and started to paint it in a more reasonable scheme. I don't need to say that there are literally thousands of Japanese Anime kits available from all sorts of ranges; Xabungle, Dougram, Robotech, Megaro Zamac, Patlabor...the list goes on and on...so I won't go on about it! There are also war-games ranges that encompass walkers in their ranks. Games Workshop and Forgeworld are two such companies that have a myriad of walkers in a selection of ranges. 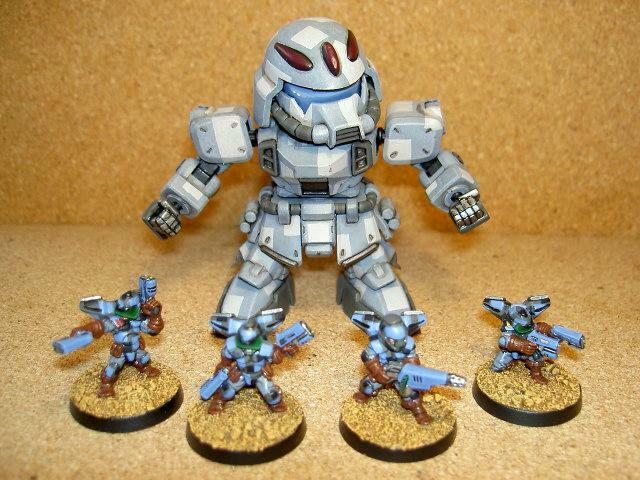 ...and if anyone questions the use of giant walking death machines...then if all else fails just say..."they look cool". Coolness is in the eye of the beholder.